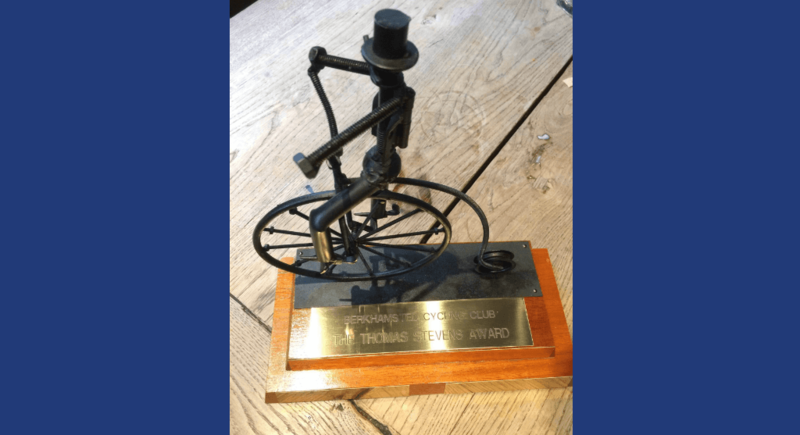 With the aim of commemorating Berkhamsted’s most famous cyclist, the Club has commissioned our excellent local trophy centre, E.M.N Engravers (thanks Jon Paulin! ), to produce the Thomas Stevens Award. The Trophy above gives a bit of a clue regarding Thomas Stevens’ achievement. He was born in Berkhamsted (1854) and was the first person to circle the globe by bicycle on a penny farthing from 1884 to 1886. 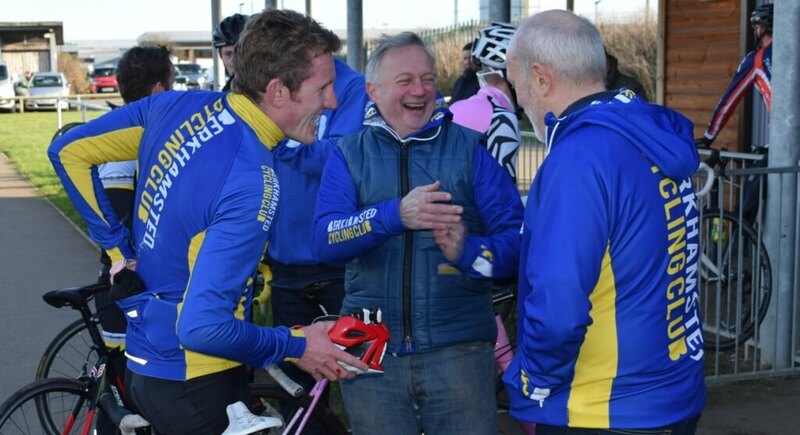 The Award will be presented to the first claim rider who has achieved the best results in BCC colours over the last 12 months, as judged by the Club’s Performance Co-ordinator. Needless to say, members are now focusing attention on the Club’s last event – the hill climb on Tom’s Hill Road on 22 October 2016. 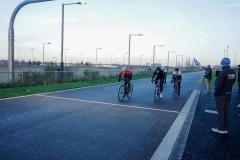 Thanks so much to everyone who came along to our Club Time Trial. We hope everyone enjoyed taking part. Big congrats to Kristin Stolpe who came second overall in her first ever time trial, competing against some experienced women! Also big shout to Simon Pearce for the fastest men’s time (just 6 seconds off 3rd place in the Vets), Ben Conradi and Matthew Buckle both went round in very good order for a combined time of 77.02 mins. This earned the club second place in the interclub challenge, with Hemel just beating us with some quick riding at 75.10 mins. Special thanks to the volunteers – you are legends all of you and it wouldn’t have been possible without your help. We got lots of positive comments about our marshalling skills so thanks for making it possible for us to run this event. Below are the results for the TT – the club had 23 riders out, a podium finish and very close to more medals – but by far the best part of today was seeing so many of our club having a crack. Really hope that we get a big turnout for our last event of the year – the Hill Climb on 22nd Oct! Photos can be found on the clubs Photo page. Still got 2 gears to spare and getting into a rhythm now but Verna and Rob are still pushing. Trevor, Anthony and I are staying together – something to do with the similar ancient gearing I feel! We have got round the left and right bends of the Beacon and now it is the drag up to the car park. We come back together – I like to think we have caught up but I realize that Rob and Verna have backed off. 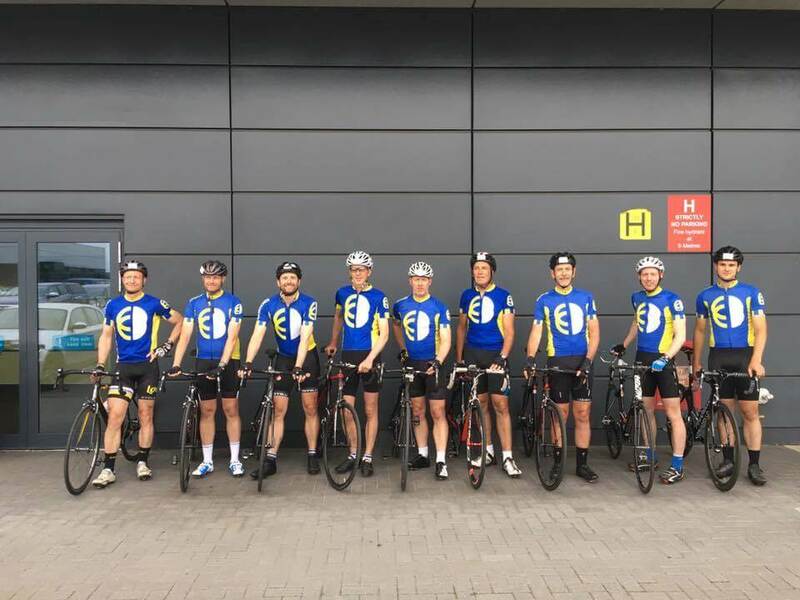 We ride into the car park together and there is the Club stand – banners flying and Club members in attendance, cheering us in. That is the second time I have ridden the Beacon on my old bike, complete with standard crankset and 80s gearing, and it was just as cheeky as last time! It was a plan hatched over a couple of glasses of wine – why doesn’t the Club run a mini L’Eroica event and see what interest there is. To the uninitiated, the event stems from an Italian event, the Strade Blanche, a race on white gravel roads. 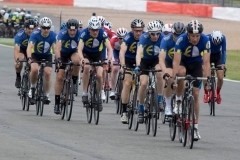 It has now transformed itself into a historic bike event at several European locations and generally involves completing a route on old bikes, wearing period costumes, with a focus on the social aspects of cycling. We ran it as an internal Club event this year but had lots of interest from other Clubs. 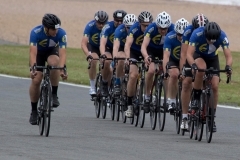 Set around a flattish 22 mile local circuit, with the Beacon thrown in as the challenge for the event. Five members pitched up on steeds of varying age and condition. The winning entry was, by some margin, Anthony Kendall, on a genuine Holdsworth, as owned by his father. It had been refurbished to within an inch of its life and looked it. It was topped off with full Holdsworth racing kit, although the wool shorts drew a fair amount of amusement. The Club stand at the Beacon was managed by Jo Darvell (and parents) and Sandra Kurth – massive thanks here. We were supplied with Prosecco, pizza and bread sticks, fitting the Italian nature of the event. It was great to see so many Club members – with and without bikes – who came to support the event at the Beacon. 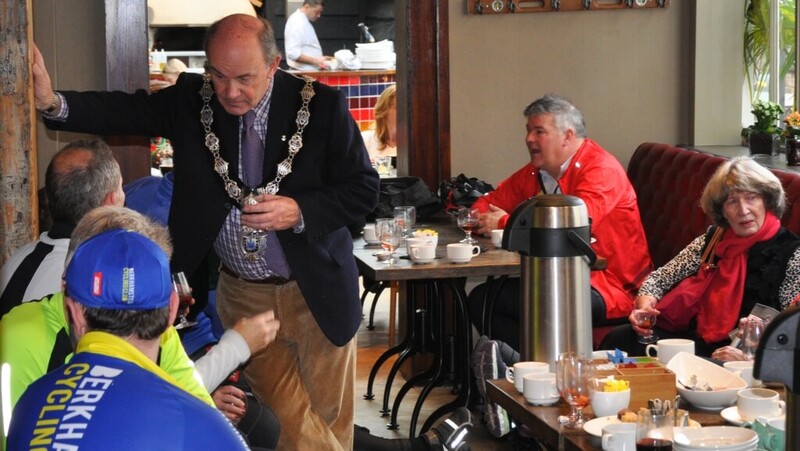 The event finished back in town, where finishers’ medals were presented and coffee consumed. Prosecco, pizza and Club members – a worrying mixture! Testing the finishers’ medals for chocolate! 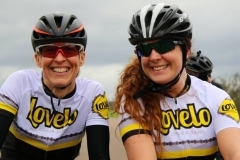 The Club is very grateful to local businesses Lovelo Cycling Works and William Young 1876 for supporting the event. I took on the 30 mile course around the hills of Bakewell in the Peak District with an old BSA single speed but vowed I’d be back in 2017 with more than 1 gear. 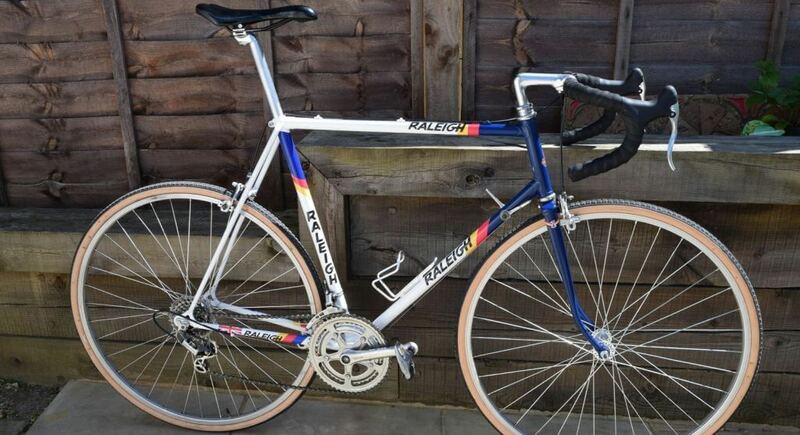 My search for a suitable bike to restore started on eBay with the main criteria being low price, down-tube shifters and close to home. I was soon distracted by expensive exotic Italian steel in far flung places but it ended with a 1984 Raleigh in Luton (I kid you not). In hindsight I could have hung around at the dump for a while until a suitable donor turned up but suspect that the staff may have thought something fishy was going on. My eBay find was the pricely sum of £27.00 and, after talking to the owner, he had recently spent more than that on a tyre and cables at a local bike shop. From the pics on eBay I could see that a few parts were needed, some of these I’d got in the garage and others I’d need to find. The intention was to keep the cost as low as possible. I was willing to sacrifice originality for some more modern comfort and non-original parts are often cheaper. 1. Steel rim wheels: Badly pitted and suicidal in wet braking conditions. 2. Reflectors: Just bad form. 3. Saddle: Cracked and very uncomfortable looking. 4. Handlebars: Way to narrow for me. 5. Pedals: One bent and bearings knackered. 6. Brake levers: Much as I am a fan of the old ‘over the handlebar’ brake cables they don’t look right. I’d already decided on aero levers. 7. Some of the cables and possibly the rear tyre. I’d given myself 5 days to get the bike done mainly because the family had gone on holiday with friends and I’d got the place to myself. My intention was not 5 days solid but a number of hours each day over 5 days. To achieve this I needed to order parts on the first day to make sure I’d get them in time. I had anticipated some problems taking the bike apart but they weren’t where I expected them. The left hand crank wouldn’t budge from the bottom bracket and the free wheel refused to come of the rear wheel. Both probably down to being in the same location for 32 years. A trip to Lovelo fixed both problems. Mark and his team removed both bit’s while I waited. I also picked up some bar tape, cables and brake blocks. When the bike was completely stripped I checked out all the components and decided that a new tyre and seatpost were also needed. I also decided to get the frameset sand blasted as rubbing down the frame is very time consuming and I wanted a good finish for the paint. I went to Kustomkoating on Northbridge Rd, Berkhamsted and they did the job in 2 days for £20.00 – well worth the money. I ordered new wheelset, seat post, seat post bolt, water bottle holder, brake levers and tyre. That lot came in at around £70.00. The handlebars, stem, pedals and saddle I’d already got kicking about in the garage. Next decision was the colour…hhhmmmmm. Well the colour was really decided by the available Raleigh decal kit of the 80’s… Panasonic sponsored Raleigh racing for a while and the colour scheme looked fine so I went with that. While waiting for the frame to come back from the sand-blasters I cleaned up all of the group set and found everything was fine. The chainset is a ‘touring’ 52/42 teeth and 6 speed freewheel 12 to 32. 1. Rub down the frame with medium and fine emery pads. 2. Wipe down with thinners (to remove all dust). Cleanliness is key and I wore rubber gloves to stop finger prints on the frame. 3. Block the bottom bracket, seatpost and headset holes with pieces of rag. 4. Mask of the downtube shifter bosses. 5. Put screws in the bottle cage mounts (to stop paint blocking threads). I was spraying in the garage and put a heater on to aid drying time as the plan was to finish the job in a day. I also covered up the surrounding area with dust sheets and wore a face mask while spraying. The best way to spray a frame is to start where the tubes cross (bottom bracket, seat tube and head tube). Hold the can 6 to 8 inches away and put on thin coats. When the ‘cross sections’ are done move onto the main tubes and don’t forget the fork. I applied three coats of primer and left 20 mins between each coat and after the last coat rubbed down (very gently) with fine emery. Ideally I should have left the frame for a few days for the primer to harden but I didn’t have the time so started on the top coat which was 3 coats of white, again following the same process for laying on the paint. The fork and front section of the frame are blue which meant that I had to mask of the white section of the frame. This was tricky as the white paint, though dry, was still ‘soft’ but with very careful use of masking tape and a dust sheet it worked OK. I left the frameset overnight to dry. The Raleigh decals came with the red and yellow stripes and went onto the frame fairly easily. The old ‘measure twice cut once’ rule applied and they were followed by 3 coats of clear lacquer to seal them on. I had all of the parts to complete the build but the paint was still ‘soft’ so it was a case of gently-gently putting all the components back on. Everything went well on the build. The Weinmann brake callipers are a little tricky to set-up but, once correctly cantered, worked a treat. There is no gear indexing to worry about as changing is via the downtube shifters. The first ride-out was the weekly BCC ride, in hindsight probably not the best idea. I decided on the 14 – 15 mph group which was Nick (the Chairman), two other riders and me. All went well until mile 7 when the rear mech downtube shifter started working loose. This is a friction lever and holds the bike in gear via the resistance on the lever. On newer d/tube shifters they have a ratchet mechanism (similar to modern handlebar levers) but with the older friction type when they work loose the bike jumps out of gear. The only way round this is to permanently hold the gear lever in position. Not so easy when going up-hill!. After 10 miles the bottom bracket bearing started working loose and the bike was jumping out of gear on the front ring! I had no choice but to call it a day and slowly ride home. I’ve since replaced the old ‘cup-and-cone’ bottom bracket bearing with a sealed unit and now carry a 1p coin in the tool kit to tighten the gear lever if it works loose. The bike rides really well. Stopping power with alloy rims is almost modern standard, the steel frame soaks up bumps aided by 27 x 1 1/4 inch touring tyres with a max pressure of 55 psi. I’ll be taking it to a few L’Eroica events along with relaxed social rides. 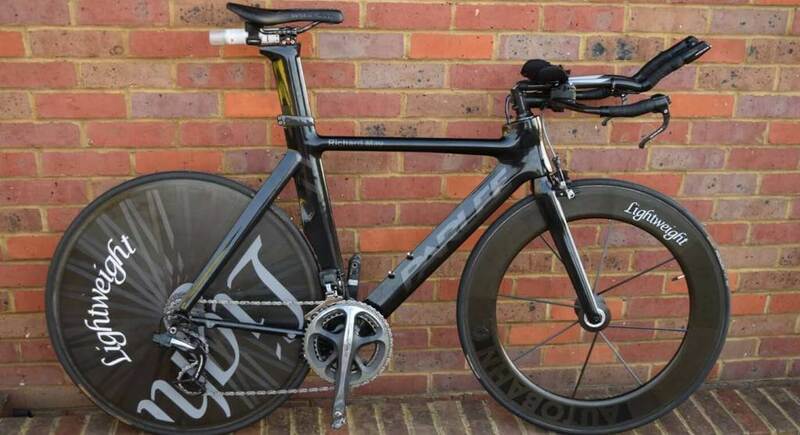 The total cost of the build (including the original bike) was around £140. If anyone wants a hand restoring or updating an old bike then I’d be more than happy to help. 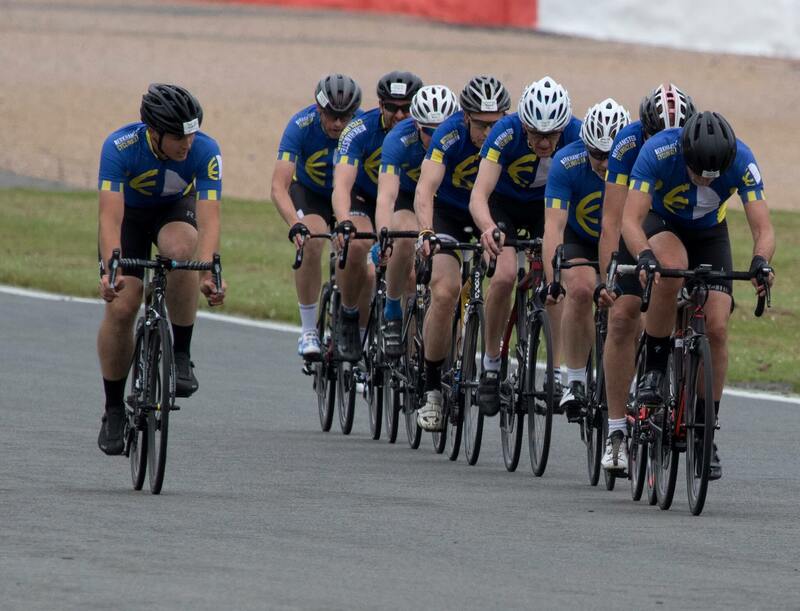 This weekend saw our first outing for our 9upTTT team out at Silverstone Race Course. It was a great event, very well organised and lots of fun. 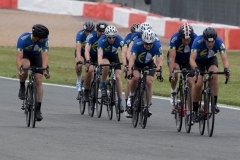 Our 9 man team made a great time of 25.54 doing 3 laps of Silverstone Race Course which is 11 miles. 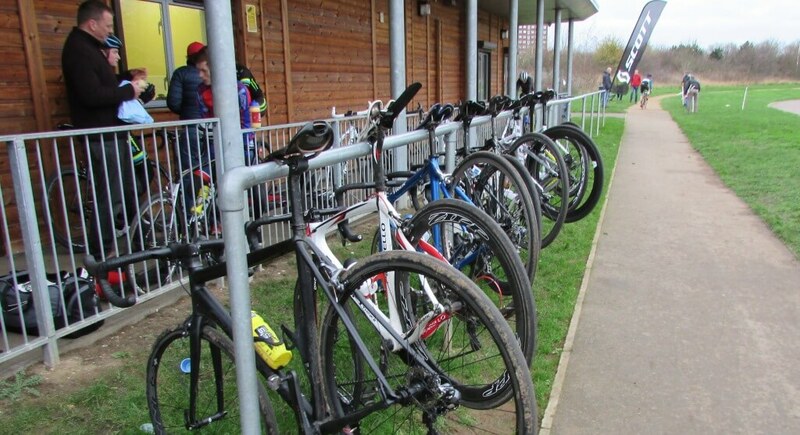 It was also good to see large numbers out on our Saturday social rides. 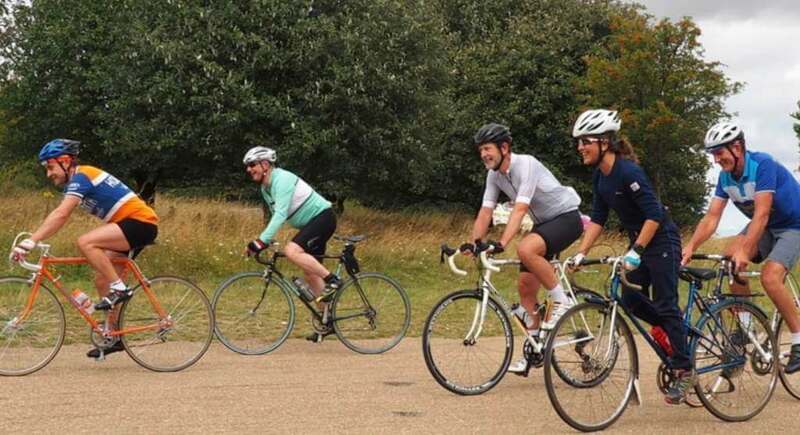 As the weather improved slightly for the day, it’s great to see so many of you joining us for our weekly social ride. Remember even if you can’t make the ride, you are more than welcome to join us for coffee and cake at the Kings Arms from 10am. This weekend was the rescheduled Harp Hilly 100 reliability ride. BCC were in strong attendance to defend the shield from last year. 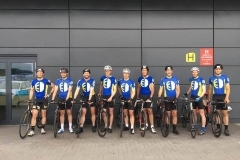 The ride starts in Kings Langley, Herts and follows a challenging route through the Chilterns via Bovingdon, Berkhamsted, Whipsnade, Ivinghoe & Tring and included the climbs of Bison Hill near Whipsnade, Aston Hill just outside Tring and Ivinghoe Hill past Ivinghoe Beacon. With over 30 riders in the field, BCC retained it’s shield for another year. BCC also received news that the Berkhamsted Castle Revolutions Festival will go ahead on July 10th, as part of the Tarmac Tour of Hertfordshire Series. 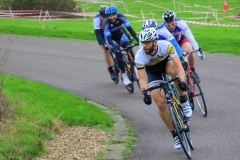 It’s family day out celebrating cycling and will also include closed road racing around the iconic Hertfordshire heritage site. This will be a fabulous day out for all the family, the first of it’s kind in Berkhamsted. Traditionally the hill climb season doesn’t get into full swing until September when the summer race season is just about over and the club hill climb date of 22nd October 2016 fits well with this. 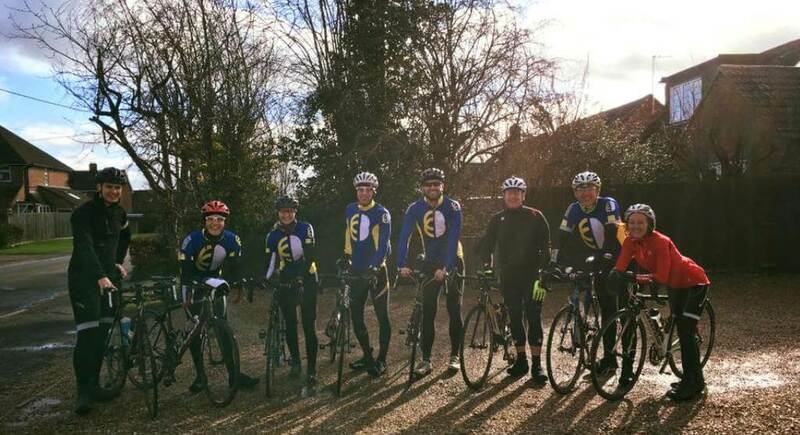 On Sunday the club academy team had a training ride focusing on hill work. Sundays are becoming a regular training event for the academy so contact the academy team if you are interested. More details of the academy will be published to the club over the next week or so. 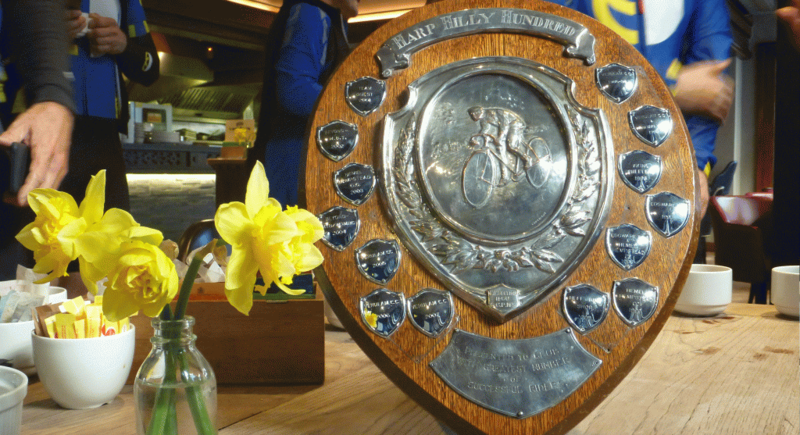 The date for the Harp Hilly 100 is fast approaching, 6th March 2016, and there are 1 or 2 spaces that the club has available. Please contact Neil Barnes if you would like to participate in the ride. We have our shield to retain from last year! Work on including Berkhamsted in the Tour of Hertfordshire series is still in progress. The club are hopeful of a positive outcome but there are many factors in play. If it is agreed it will be a fantastic bicycle festival for the town. 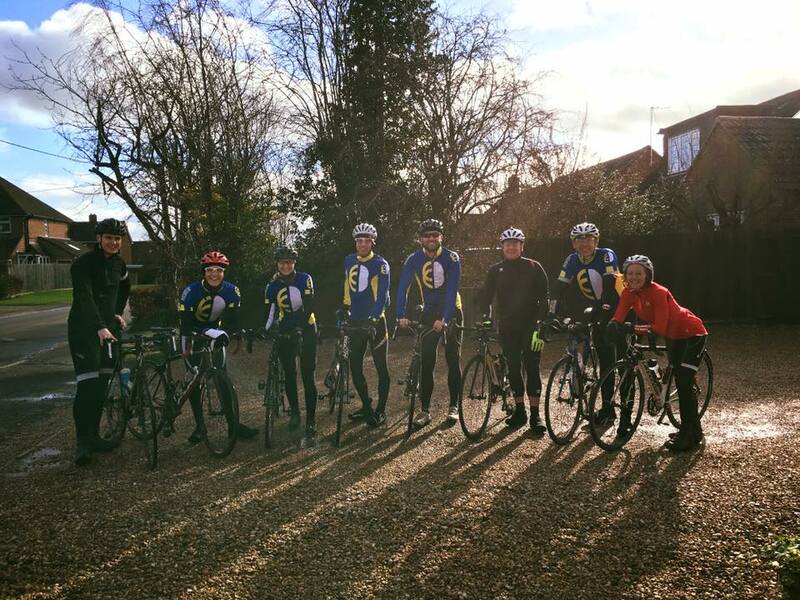 Unfortunately the weather forecast for Sat 13th Feb meant that the club ride was cancelled but the weekend saw many informally organised rides via the clubs FaceBook page. Three member’s set-up a Zwift group ride that (as a first group ride) was successful. If any club members want to try Zwift it’s initially free and is a great way of indoor training. More info on how it works here Zwift. Later in the morning a group headed-up by Simon P took to the local roads. The last round of the Imperial Winter Series crit racing at Hillingdon circuit had club members Richard Metcalfe and Nick Vincent racing in the event. 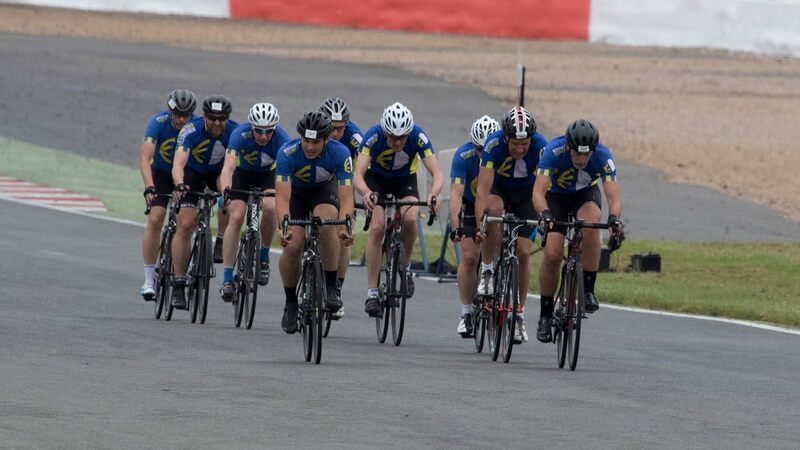 This was Richards’s first race at Hillingdon and he had a fantastic time staying with the peloton for the first 4 or 5 laps but the pace proved too much and Richard time-trailed the rest. Nick stayed within the bunch with a couple of strong turns at the front. Both Richard and Nick finished safely. 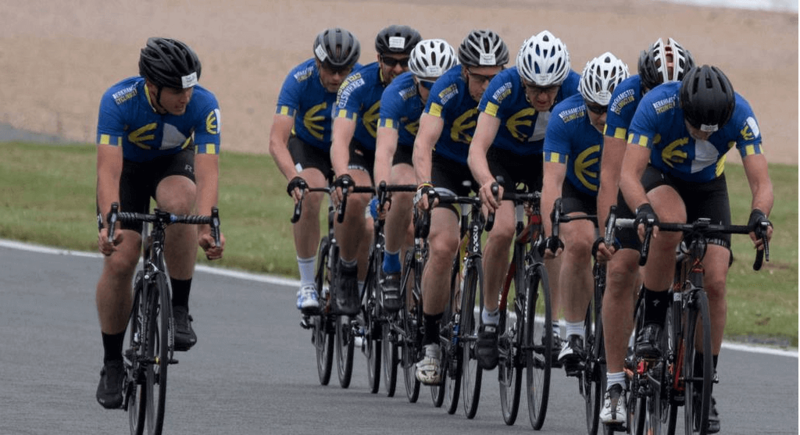 The newly formed Race Academy is just what Richard needs along with any other club members that are interested in racing or improving their group riding skills. Contact the academy team for more info. 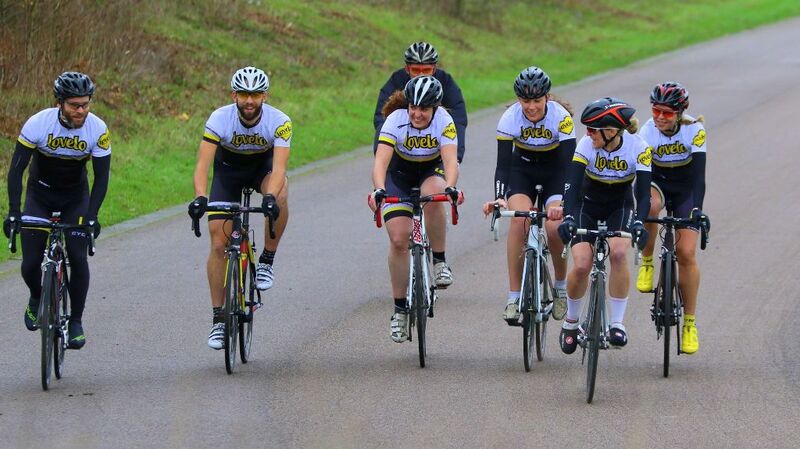 On Sunday the race academy team training ride was good session enjoying the sunshine and practising race tactics. Sundays are becoming a regular training event for the academy so contact the academy team if you are interested. Later in the day a handful of the club went out for a social spin and had a very enjoyable ride in the breezy but sunny weather. Firstly ‘hats off’ to all the Saturday morning club riders who braved the wet and cold conditions, muddy roads and the threat of punctures. Later in the day there were club members taking part in races in the region and on Sunday the first Academy ride. 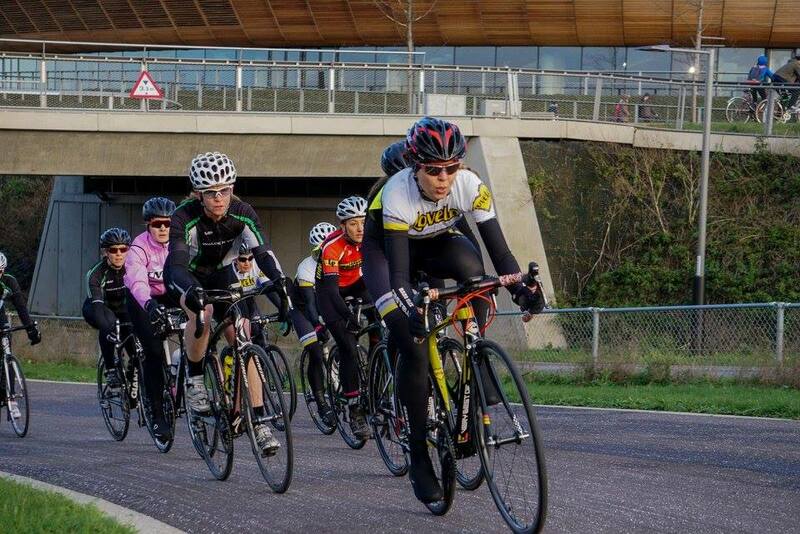 Round 8 of the Imperial Winter Series at Hillingdon on Saturday saw Nick Vincent compete in very windy conditions. The wind caused the main bunch to splinter but Nick stayed strong and provisional results have him in the top 10. Fantastic job Nick! Chloe Goulding almost competed in the women’s race but the windy conditions and lack of race prep time made her think twice. The right decision as the conditions made the peloton a little nervous. 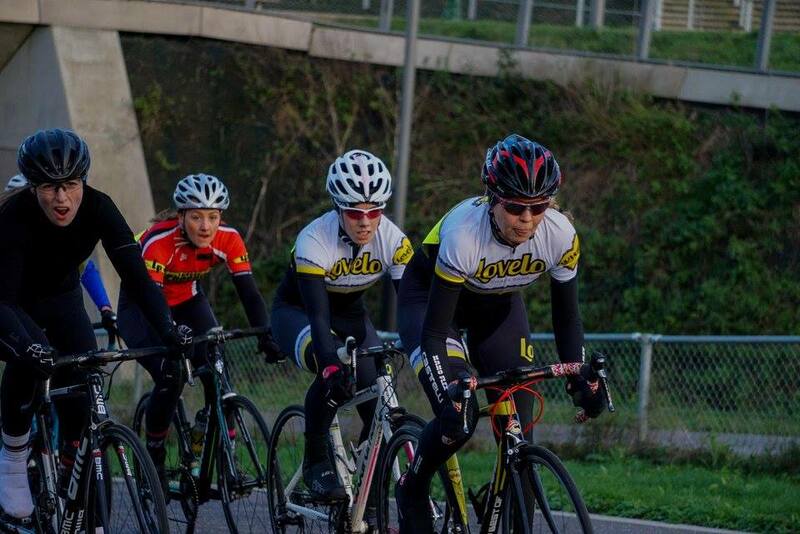 Club second claimer’s Melinda, Beth and Amy Shilliday also raced with Melinda taking a top 10 place (provisional result). 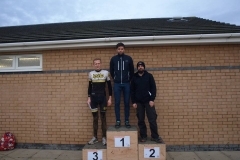 The 14th and final round of the Central Region Cyclo Cross League took place in Welwyn on Saturday and Josh Curtis (club second claimer but racing under the club) finished in 3rd place. This puts Josh in 3rd place overall in this seasons Senior category final standings. An incredible achievement as Josh is studying for his final year of ‘A’ levels. Chapeau Josh! 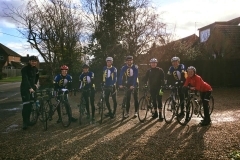 Sunday was the inaugural BCC Academy ride which saw a good turn out of riders keen on improving their close quarter group skills and chain gang riding technique. 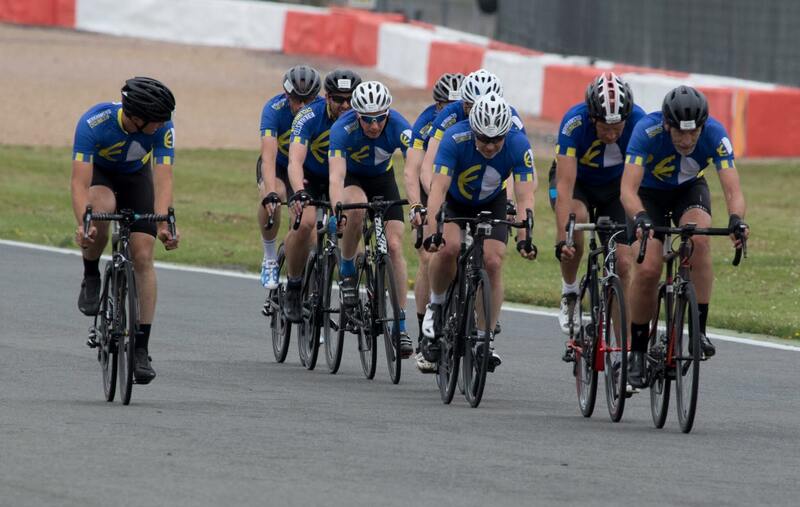 The newly formed academy is open to club riders that are keen on learning race tactics and want to improve their bike handling and speed. If you are interested or need further information please email the academy team. 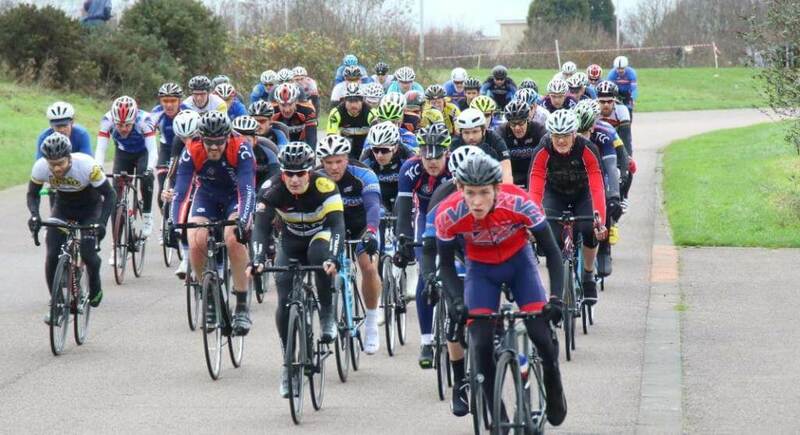 The BCC Race Academy got off to a flying start at Hillingdon Imperial Winter Series where Nick Vincent (our Performance Coordinator) did extremely well in his first race for the club. Pre-race atmosphere was buzzing with Nick and supporters from the club anticipating a great race. Conditions were cold, breezy but sunny and the Lovelo team were eager to offer racing tips to Nick. The race got off on time (13:10) and quickly formed into a bunch. There were one or two attacks but they were quickly reeled in. Nick sat-in the bunch saving much needed energy for the finishing couple of laps. He also had a couple of turns near the front. A great strategy. Lovelo RT played a team game for most of the race along with helping Nick stay safe and shouting advice. The last lap had the field together in a bunch culminating in a bunch sprint for the line. The club will be informing members of BCC Race Academy details and Nick’s race has firmly put us on the map this year. The club also thanks track side support in the form of Nick Kurth, Chris Smith, Simon Voysey, Jo Darvell, Nick Vincent’s better half and Trevor Hill who were voicing support and encouragement. 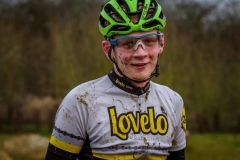 If you are interested in racing or training with the club’s academy please email Nick Vincent and he will let you know of up-coming training rides and the club’s race calendar. 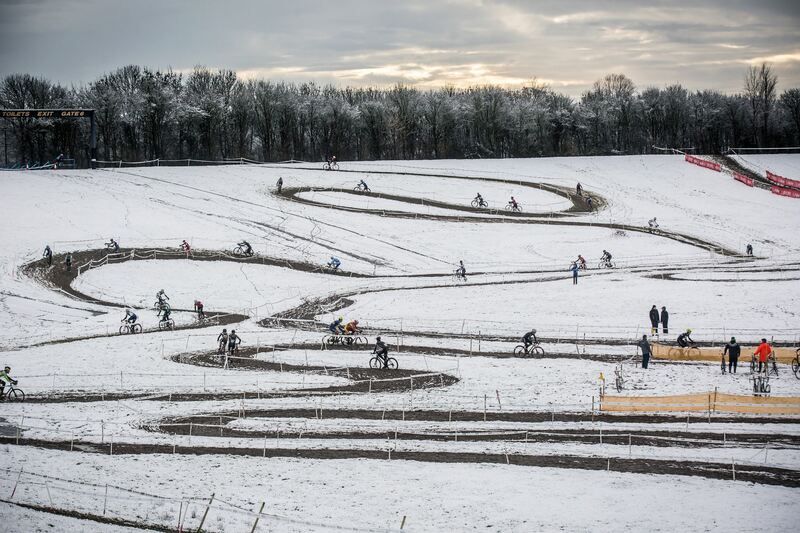 … and CX racing at Kettering. 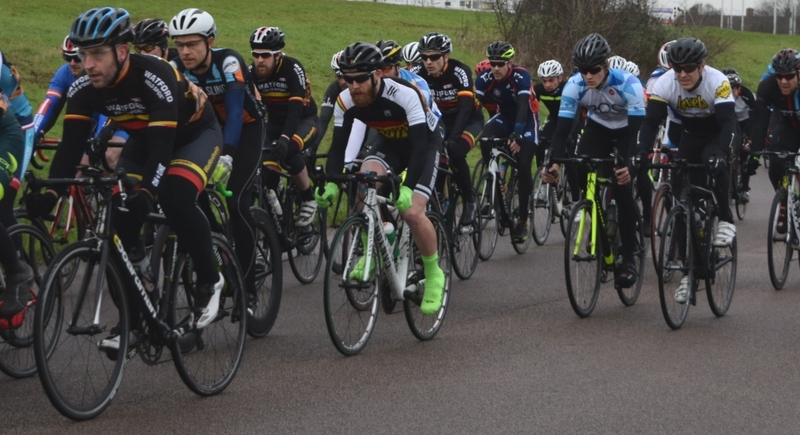 Nick C, Nick D, James, Spence, Matt V, Melinda, Beth and Hannah were out in full force at round 6 of the Hillingdon Imperial Winter Series. Backup was in the form of Mark Harris from Lovelo with a full compliment of spare wheels and enthusiasm. Weather conditions were good and the race started on time. All the team showed strongly in a large peloton. James started to drop down the field but the team helped keep him in the pack. Beth kept with the women’s bunch but lost the pace after 10 or 12 laps and time trialed the rest. Louise Surridge (Velo Club Londres) made a successful break stick for the last 4 laps and went on to win the women’s race with more than half a lap lead. Fantastic achievement as Louise is 17 years old and on junior gearing. Melinda and Hannah contested a sprint finish with provisional placing of 9th and 12th respectively. On the final lap of the men’s race there was a crash (no-one seriously hurt) and the boys finished in the bunch. 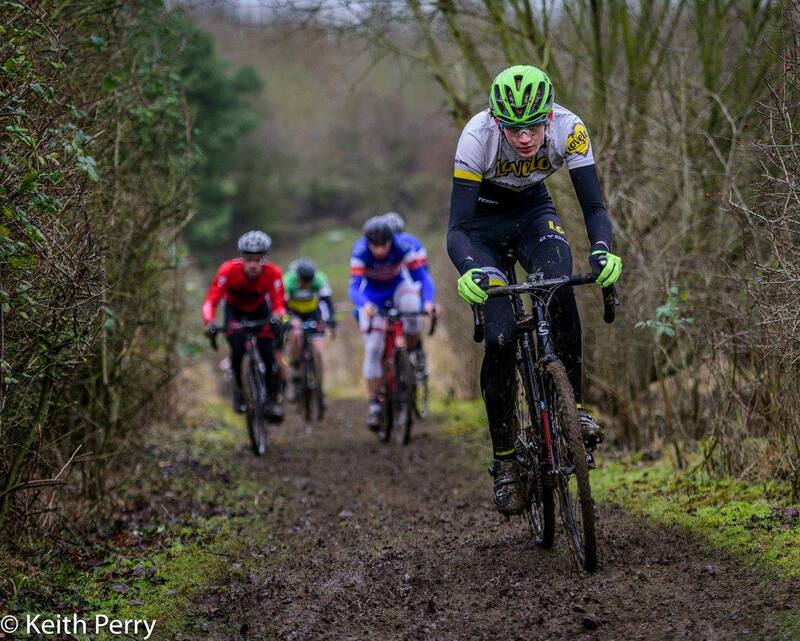 Josh Curtis (racing for Berkhamsted Cycle Club) competed in the Central League CX round 14 at Kettering and finished 3rd. 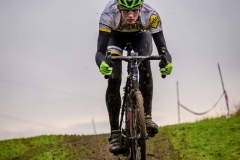 A fantastic result for Josh as this is his first full year of CX racing. The last official placing has Josh 8th overall in the league but that has moved up a couple of points (tbc). 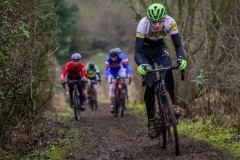 There is one more CX round to go hosted by Welwyn Wheelers on Sat 6th February 14:00 at Stanborough Park, Stanborough Road, Welwyn Garden City, AL8 6DQ. It would be great if fellow BCC’ers were out to cheer him on. Photos courtesy of Keith Perry, Jeremy Curtis and Trevor Hill. 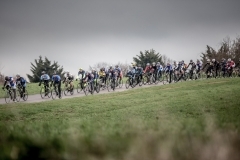 Full Gas Crit and CX racing made up a busy weekend for club members. Nick and Mike were at an unusually fair weathered Hillingdon which saw Nick puncture after 4 or so laps but re-join the race after a wheel swap. Nick and Mike faired well in the pack and the race ended in a bunch sprint which had the boys in the 3rd quarter of the field. 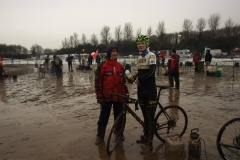 Josh had two Cyclo-Cross races on Saturday and Sunday. 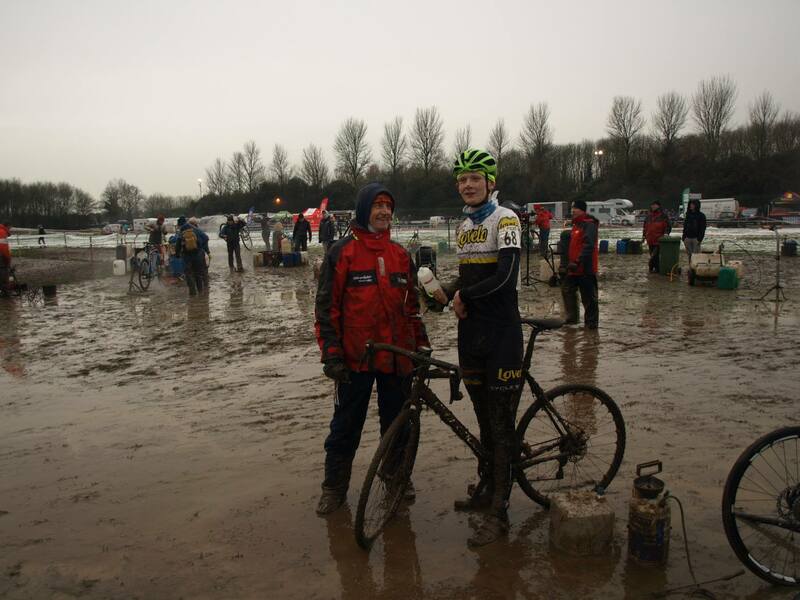 The first being round 13 of the Central CX league where Josh finished in the top 10. 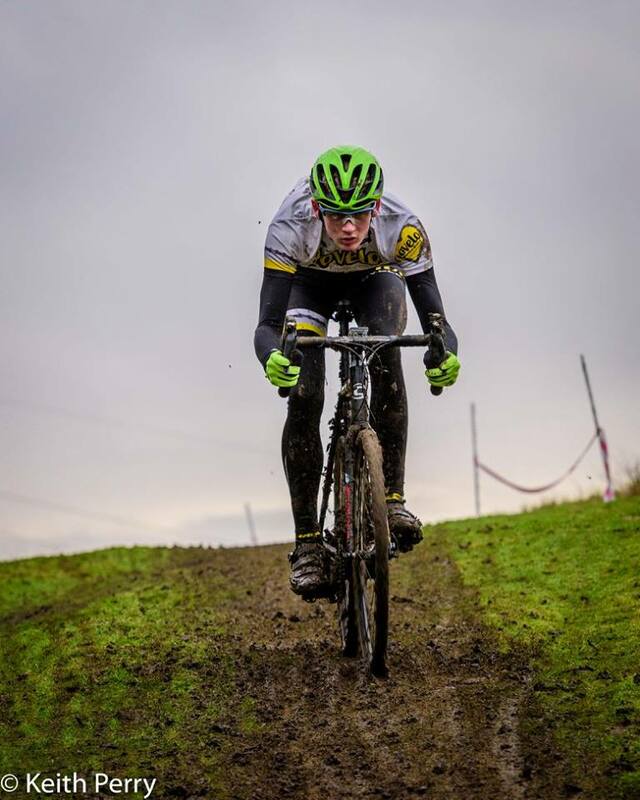 Sundays race was the National CX Trophy where Josh was 10th in the Under 23 and 31st overall (provisional results). Placing could have been better if Josh hadn’t had to swap to his spare bike. Conditions on both days were very muddy with the snow on Sunday adding a wintery touch. Many riders suffered mechanicals with snapped rear mech hangers being the favourite. Melinda and Beth were at the Full Gas race series in Lea Valley Velo Park. Beth had a strong showing early on but the pace proved to much. Melinda had a blinder of a race and finished 3rd in a bunch sprint! 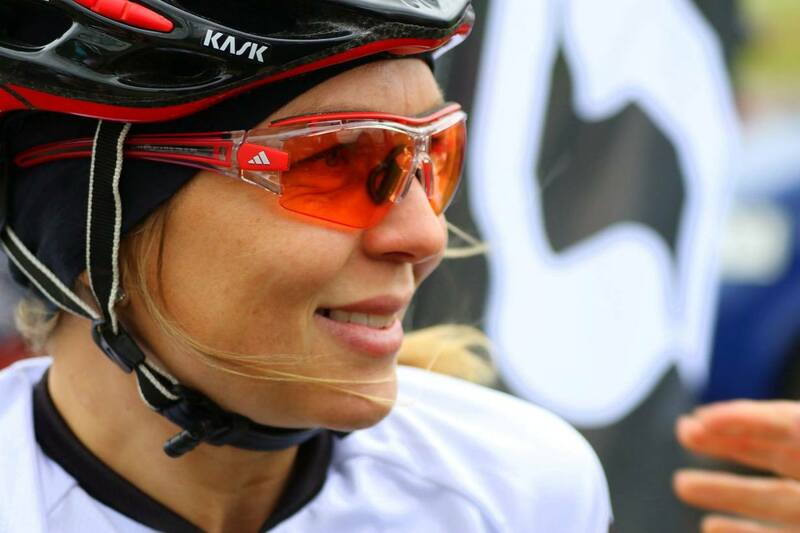 Anna Henderson (a rider closely linked to the club) finished in 4th. 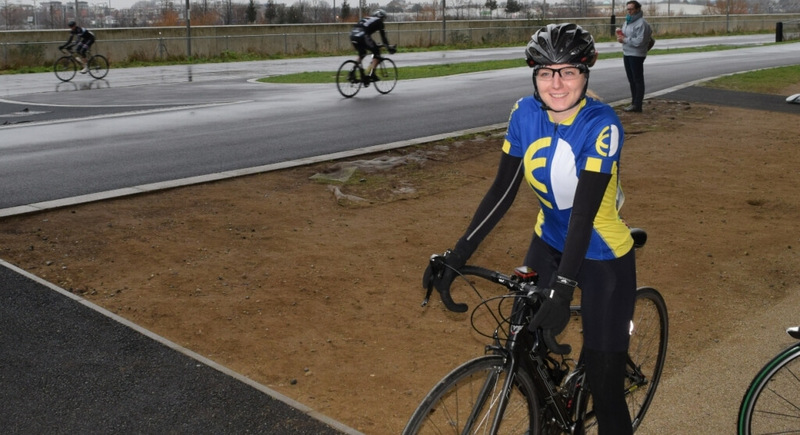 During the week Melinda also gained her track cycling accreditation so we may see her on the boards in the future. 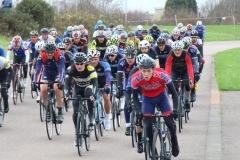 Saturday 9th Jan saw round 4 of the Imperial Winter Series at Hillingdon, another full field with racers from BCC and Lovelo RT women’s and men’s teams. This was Vincent’s first crit race and James’s second, both a little apprehensive but raring to go. Seasoned racers Nick and Matty (well, his 3rd race) were as determined as ever. The women’s team of Melinda, Sam, Hannah and Bethany were in good spirits and hopeful for a win. The conditions were good for the time of year; damp track, no rain and moderate wind. Support was at hand from Tim Warrell, Niels, Alison and a few other BCC members. James started strong but just couldn’t keep on the pace. After the race he said ‘Well I was in the bunch for 14 minutes so an improvement on my first race! James will be back… he has the bug! Vincent kept a good pace but it wasn’t enough to keep in the bunch. Both did a great job and finished together. Both Nick and Matty had a couple of mechanical issues but had strong rides with Nick pulling hard on the front and Matty close by. Both finished in the bunch. Matty is determined to win and it may not be to far away. Melinda, Zoe and Sam had a great race and finished 4th, 10th and 11th respectively. Fantastic result for all 3 and more so for Melinda as she only had 2 or 3 gears for most of the race! The club’s post ride Mulled Wine and Mince Pie’s at the Kings Arms was a great success. 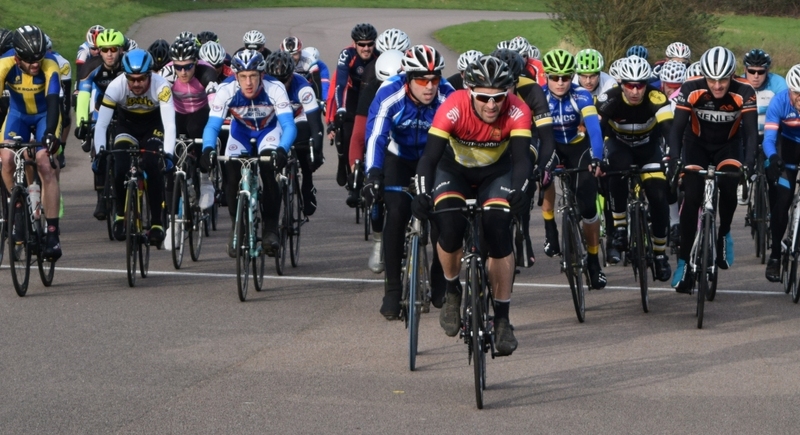 There was a large turn-out with around 60 riders enjoying the splendid fare from the KA’s. Ride conditions had been very good for the time of year with just the odd muddy road to contend with. The club would like to thank the Town Mayor, Councillor Tom Ritchie, and his delightful wife for attending and Jo Darvell for organising the event. Warm conditions (for the time of year) and no where near as windy as round 1 & 2 saw a full field for the men’s Cat 4 race. 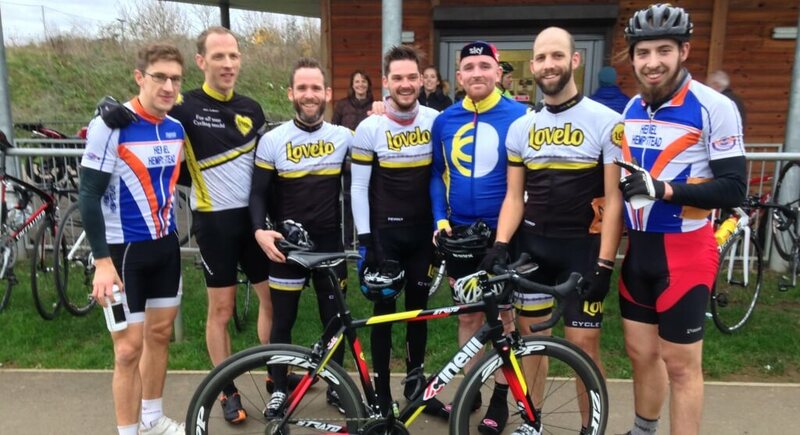 Lovelo Cinelli Race team were out in force with Nick Clarke, Mike Kazer, Matt Verrinder, Lloyd Wright and Matty Earls (most BCC members). This was Matty’s first race and he was a little nervous (in a good way) but very up for it. The race plan was to get a break going with a few riders, hold it and win. 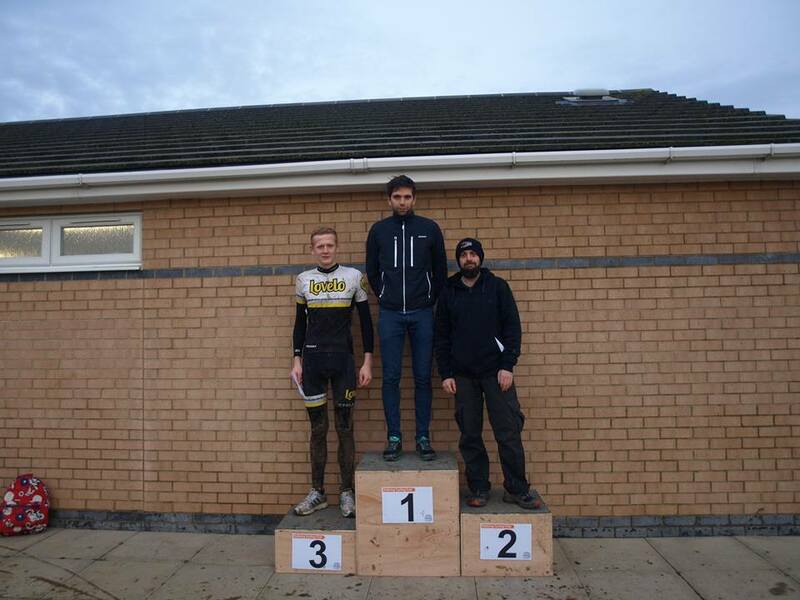 It almost paid of but the Hemel Hempstead Cycle Club man of steel aka Josh Crow-Stewart was in a class of his own. As Mike said ‘I could hold his wheel for two laps and that was it!’. 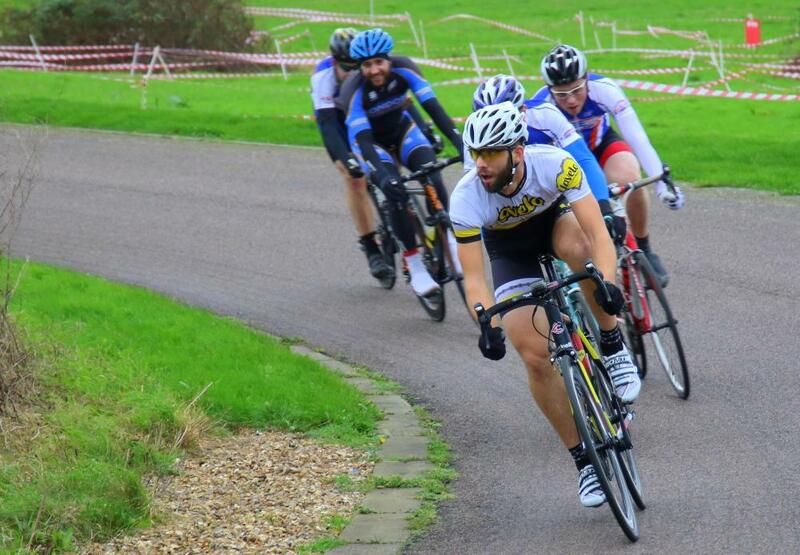 Josh split from the bunch with three other riders, dropped them on the last lap, almost lapped the main bunch and won. Chapeau Josh! The Lovelo RT stayed in the main bunch except for Lloyd who popped his knee after 3 or 4 laps and is of to see Keith Tucker for physio. Matty had a great time and is already scheduling training rides… he’s got the bug! Very well done to all riders, lots of lessons learnt and a very Merry Christmas to all. 2016 is going to be a memorable year! 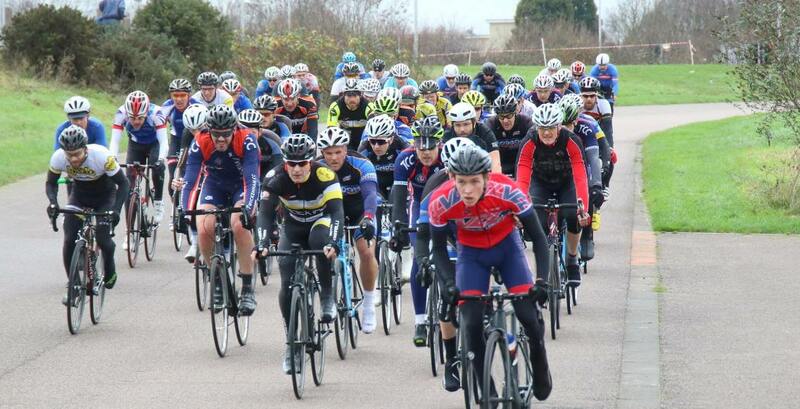 Saturday 12th December saw round 2 of the Hillingdon Winter Series in windy (but not as bad as round 1) conditions. 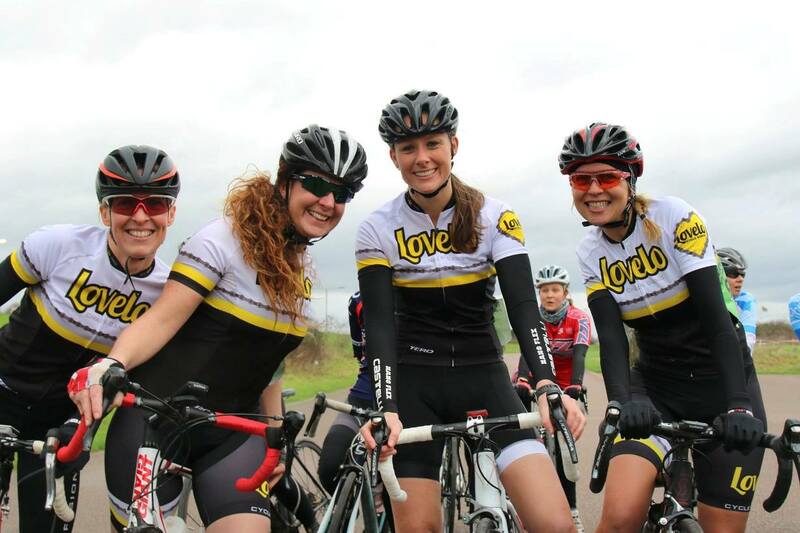 The Lovelo Cinelli Race Team was out in full force as this was the first round of women’s racing. Many of Lovelo RT are BCC members but there were no riders sporting BCC colours. The women’s race started just before the men’s and the Lovelo team were very strong, Melinda Atkinson, Hannah Priest, Amy Shiliday and Charlotte Verrinder all taking turns at the front. The men’s was soon underway and (after slipping a chain at the start) Nick Clarke formed a 5 man breakaway teaming up with HHCC rider Josh Crow-Stewart. Spencer Wilson and Lloyd Wright were in the main bunch. After 5 or 6 laps Amy managed to get a mouthful of gravel thrown up from the wheel of a rider in front and had to stop as she couldn’t breath. Her words at the side of the track were ‘I was really enjoying it and the girls were really working well. I felt strong and am really disappointed that I had to stop’. 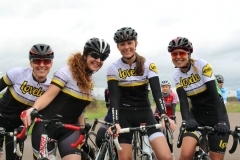 The Lovelo women’s team continued to set the pace thanks to great team work. Melinda even had time to shout hello’s to spectators – obviously not working hard enough. In the men’s race the 5 man break had a max advantage of 1 minute but 3 or 4 riders started to bridge across and the lead bunch grew. Unfortunately on the penultimate lap of the race there were two separate crashes. The first in the main men’s bunch on the finish straight and the second in the women’s bunch at the top of the track on the corner section. Charlotte was injured in this and all at BCC wish her a speedy recovery. The Commissaire had to act quickly and stopped (black flagged) the men’s race. The women’s race continued and Hannah finished in the top 5. The riders in the men’s race agreed to split the points between the 7 riders in the breakaway. Nick is on his way to moving from Cat 4 to Cat 3 racer. Many thanks to Paul Gardner for the photos. 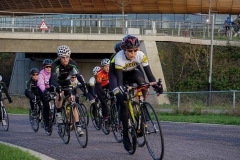 The first race of the Imperial Winter series at Hillingdon on 5th December 2015 saw a large turnout of riders. 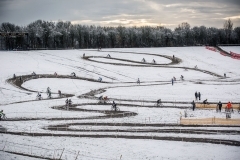 Many use the series as a way of keeping fitness levels going from the summer or from autumn cyclo-cross races. There was a buzz in the air at sign-on as for many it was there first closed road criterium race and the weather wasn’t ideal as strong winds were forecast. 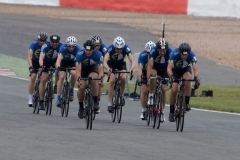 Two races were on for the day; men’s Category 3/4 and men’s Cat 1/2 and Elite. Both races were full via online entry but there were a couple of no-shows so entry on the day was possible. Club member James McGahern was a little nervous as this was his first crit race but everyone was offering support and advice. 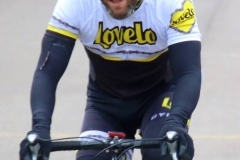 Club partners Lovelo Cinelli RT had a full team with Mike Kazer, Matt Verrinder, Spencer Wilson and Nick Clarke. The 45 minute race started at 13:10 and it was immediately apparent that the strong headwind on the finish straight and side-wind at the top of the course would play a major part in the race. James hung onto the pack for as long as possible but the pace and windy conditions proved too much and he lost contact. 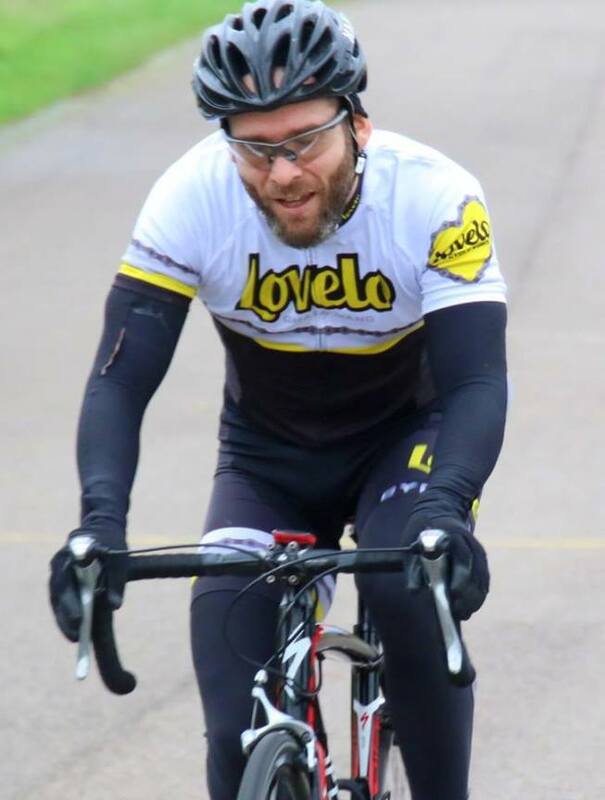 James later said ‘Great experience and I time-trialed myself to make the most of the race’ Huge respect to James for finishing! 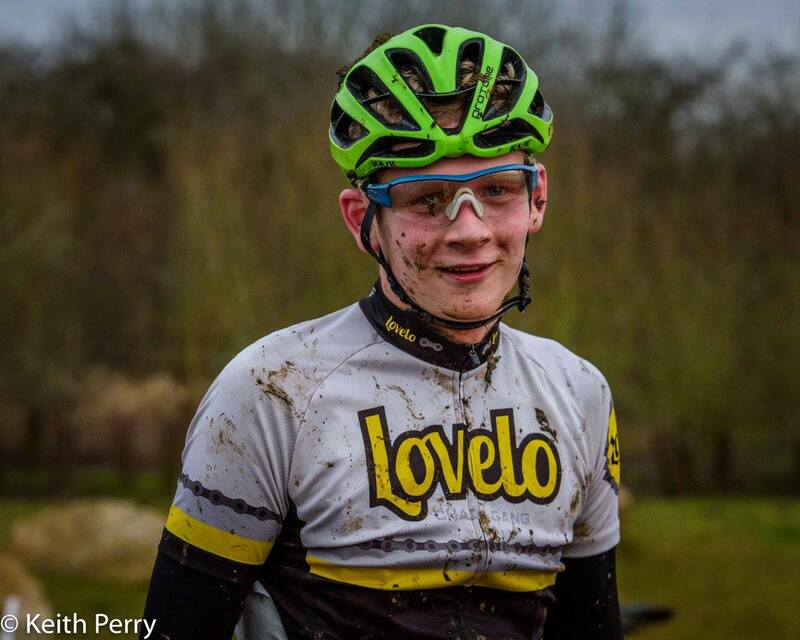 The Lovelo team were very strong in the race with individual riders taking strong pulls at the front. Results are yet to be published but they are likely to be in the team top 3. 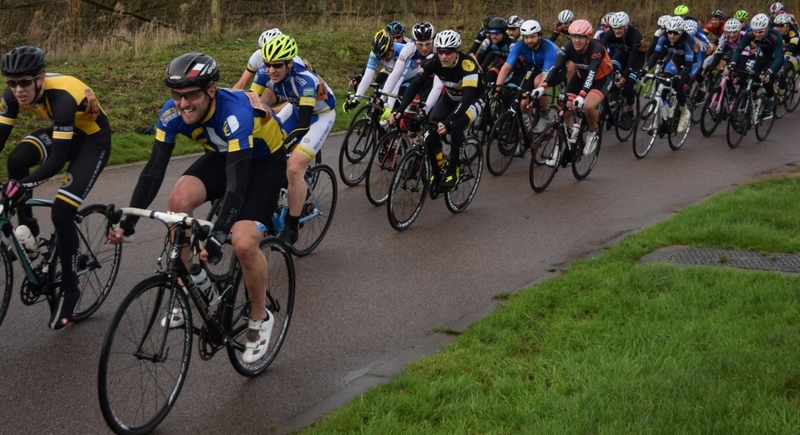 The next race in the series is on Saturday 12th December and includes a 40 minute Women’s Cat 3 / 4 race. 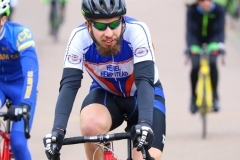 Enter online at the Imperial Winter Series website. 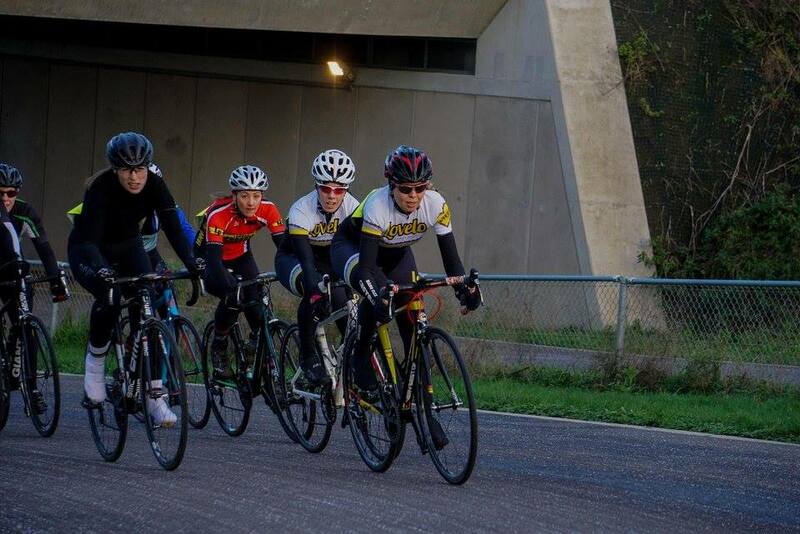 Club members are racing in the first round of the Imperial Winter Series at Hillingdon on Saturday 5th December. James McGahern will be sporting the club colours and second claim members Nick Clarke, Spencer Wilson and Stuart Elvins will also be racing. Spectators are welcome; Beth Thomson and Trevor Hill are planning to be there and support the team. 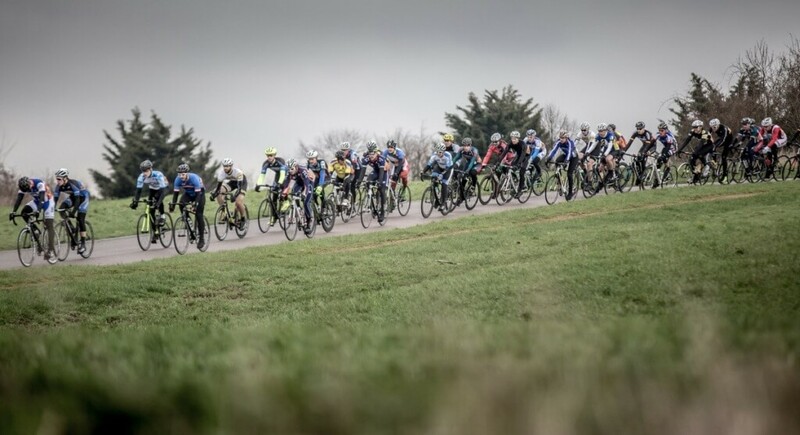 There are nine races in the Imperial Winter series from 5th December 2015 to 13th February 2016. There are men’s races from Category 4 and above and a women’s only race. Details of the races can be found on the Imperial Winter Series website.